Mike Perry did it again. 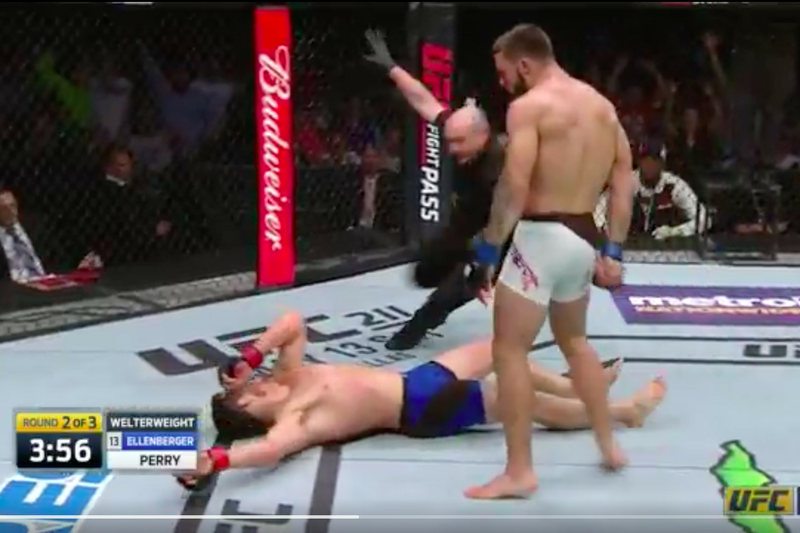 The up-and-coming knockout artist scored one of the grisliest standing elbow finishes you’ll ever see on Saturday night, flooring Jake Ellenberger with a second-round bomb at UFC Fight Night 108 to instantly throw his name into the ‘KO of the Year’ conversation for 2017. With the win, Perry improves his Octagon record to 3-1 with all three of those wins coming by way of highlight-reel knockouts. Check out the finish below.